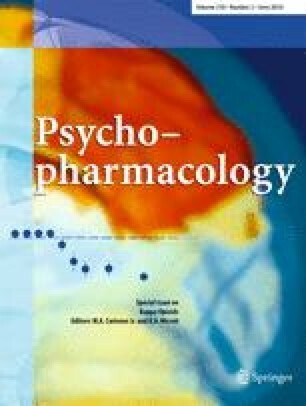 The dynorphin/kappa opioid receptor (KOR) system has been implicated as a critical component of the stress response. Stress-induced activation of dynorphin-KOR is well known to produce analgesia, and more recently, it has been implicated as a mediator of stress-induced responses including anxiety, depression, and reinstatement of drug seeking. Drugs selectively targeting specific KOR signaling pathways may prove potentially useful as therapeutic treatments for mood and addiction disorders. KOR is a member of the seven transmembrane spanning (7TM) G-protein coupled receptor (GPCR) superfamily. KOR activation of pertussis toxin-sensitive G proteins leads to Gαi/o inhibition of adenylyl cyclase production of cAMP and releases Gβγ, which modulates the conductances of Ca+2 and K+ channels. In addition, KOR agonists activate kinase cascades including G-protein coupled Receptor Kinases (GRK) and members of the mitogen-activated protein kinase (MAPK) family: ERK1/2, p38 and JNK. Recent pharmacological data suggests that GPCRs exist as dynamic, multi-conformational protein complexes that can be directed by specific ligands towards distinct signaling pathways. Ligand-induced conformations of KOR that evoke β-arrestin-dependent p38 MAPK activation result in aversion; whereas ligand-induced conformations that activate JNK without activating arrestin produce long-lasting inactivation of KOR signaling. In this review, we discuss the current status of KOR signal transduction research and the data that support two novel hypotheses: (1) KOR selective partial agonists that do not efficiently activate p38 MAPK may be useful analgesics without producing the dysphoric or hallucinogenic effects of selective, highly efficacious KOR agonists and (2) KOR antagonists that do not activate JNK may be effective short-acting drugs that may promote stress-resilience. This work was supported by National Institute on Drug Abuse U.S. Public Health Service Grants DA25970, DA20570, and DA25182 and the Hope for Depression Research Foundation.